Home Page About the practice Providers Foot & Ankle Clinic Clinic Services Patient Educ. Our mission is to be available to serve our patients when they need help. Kirkpatrick Family Care is open 365 days a year. Dr.Mark Rawson grew up in Las Vegas, where he played almost every sport; football, baseball, water polo, swimming, skiing and track. He attended BYU, interrupted by a 2 year Mission experience, then transferred to UNLV, from which he graduated with a degree in Biological Sciences, minor in chemistry. Four years later, he graduated with his Doctorate from the California College of Podiatric Medicine in SanFrancisco, and did his internship and residency in Foot and Ankle surgery at Northridge Hospital in Van Nuys, eventually serving as Chief Surgical Resident. While practicing for 15 years in Las Vegas, Mark was very active in medical politics, both on a state and national level, often testifying before legislative committees on issues pertinent to foot and ankle conditions. He is board certified in foot surgery with the American Board of Podiatric Surgery and is a Fellow of the American College of Foot and Ankle Surgeons. 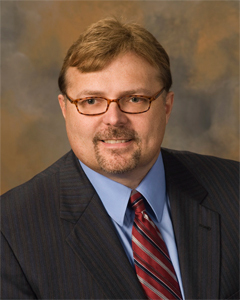 Mark specializes in the conservative and surgical care of the foot and ankle. He cares for patients of all ages from the pediatric to the geriatric patient. Mark, his wife, Avey, and two daughters live in Longview. He is board certified in foot surgery with the American Board of Podiatric Surgery and is a Fellow of the American College of Foot and Ankle Surgeons. He is also board certified in wound care. Mark specializes in the conservative and surgical care of the foot and ankle. He cares for patients of all ages from the pediatric to the geriatric patient. Mark, his wife, Avey, and two daughters live in Longview.